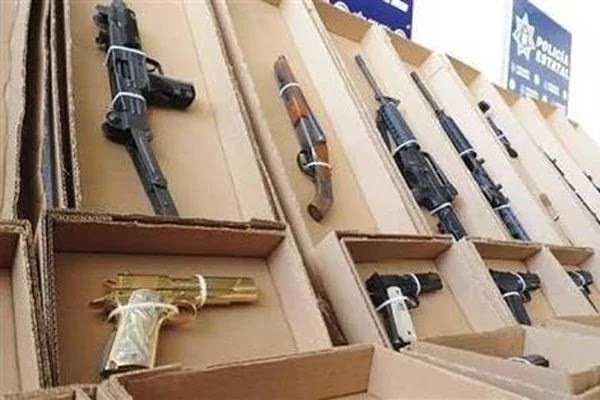 Three individuals with residences in Abuja and Lagos own the company that has been fingered for the illegal importation of arms into the country earlier in the week. Investigation by Daily Trust revealed that Ayogu Cyril, Ayogu Kelvin and Ayogu Great James registered the oil firm as its directors on July 20, 2011. The company was registered with RC 968675. When our reporters visited the address in Abuja yesterday, a guard informed them that the male occupant was at home with his wife. But he declined their request to speak with his employer, holding that his boss was not expecting any visitor. A vehicle was seen parked in front of the building. Other people spoken to in the area said they had no knowledge OF what the occupant was doing for a living, and others doubted if he had a firm named Great James Oil and Gas Ltd. “The owner is from the South-East, but his name is not James Ayogu or Cyril Ayogu and it is strange the company you associate with him,” a resident of the area said. Checks by Daily Trust on Sunday showed the building is mainly residential. All but one of the tenants were out when our correspondent visited there yesterday. A chat with the only person, who wouldn’t give his name, said Kelvin actually lived there but had packed out to his own house about two years ago. He said he didn’t know the address of Kelvin’s present residence.